There is no better subject for me to photograph than Puppy Cody! What do you suppose she’s looking at in this photo? Now – who’s watching whom? 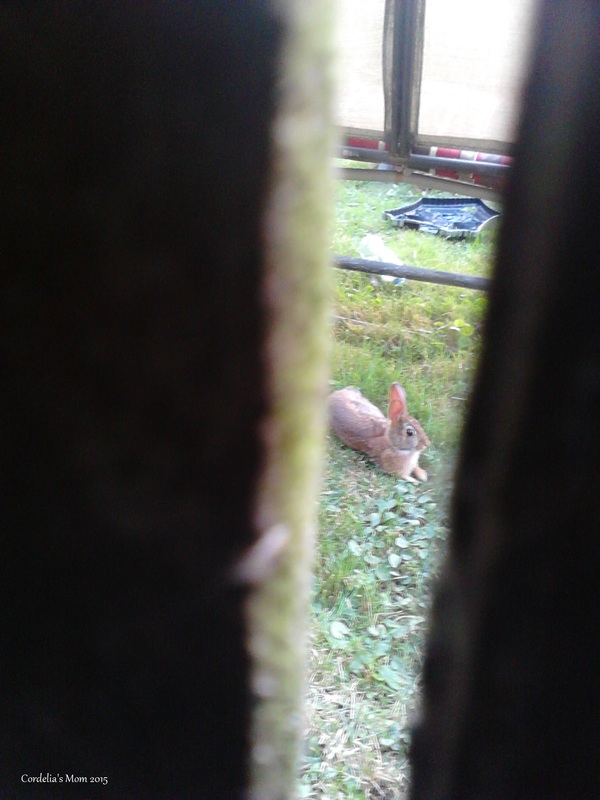 This entry was posted in Humor, Pets, Photography, That's Life and tagged bunny, Cody, dogs, Puppy Cody, rabbit. Bookmark the permalink. 16 Responses to Who’s Watching Whom? Ha ha that is pretty good! Our little dog would be freaking out! Cody just stands there and stares – to the point that she often forgets to do her business. I think she might have some pointer in her somewhere because I’ve never seen a dog become so intensely focused for such a long period of time. That explanation makes sense to me! BUNNY!! Cody is just watching out to make sure the bunny is safe. Yeah, Paul, I’m sure that’s it. Personally, I think she’s just waiting for that bunny to come over and play. You can’t see it in the photo, but every time the bunny wiggles its little nose, Cody bows and wags her tail. Our dog will stand and stare until the bunny moves and then she’s a nut job! Great series of pictures. Thanks, Dan. Our dogs must have some of the same breeds in them. Does yours also sniff the ground along the entire bunny trail? 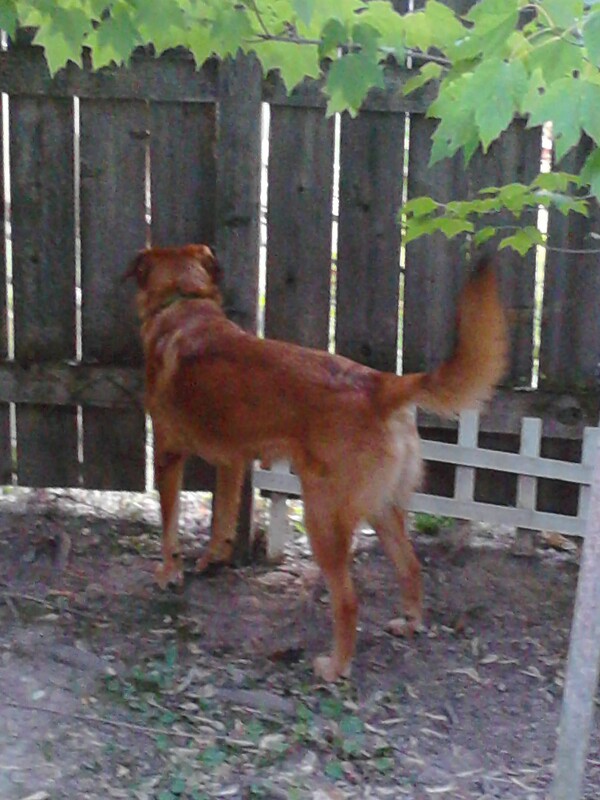 Cody does – and that bunny’s been all over the yard before it went under the fence. Ha! Our dogs must be related. That’s the only angle I get of Duncan — he is terribly camera shy! Love the pictures — that is a lucky bunny! Thanks! It was taken with my cell phone, which doesn’t even take decent pictures most of the time. Hm. I’ll see what I can work out.